KOCHI: Moves are afoot to get the Kasaragod dwarf cattle included in the list of native cattle breed of Kerala by the National Bureau of Animal Genetic Resources (NBAGR), Karnal, Faridabad. The Vechur Conservation Trust, which was active in efforts to revive Vechur cows from the brink of extinction, is planning to launch the initiative and will rope in Kerala Veterinary and Animal Sciences University (KVASU) and the state government for the purpose. 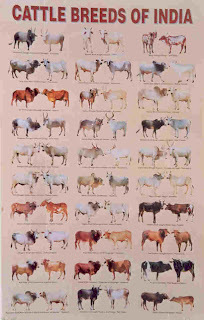 "I have done some studies on tracing and documenting the characteristics of the Kasaragod dwarf cattle when I was working at the Animal Breeding and Genetics Department of the Kerala Agricultural University in the late 1990s. Now, we have to compile those data and the data generated in the subsequent studies, and present them to the NBAGR," Sosamma Iype, a managing trustee of Vechur trust told TOI here. "The Kasaragod dwarf cattle is a small animal (average size 95 cms) that can survive on kitchen scraps and jungle forage. This allows people in the mountain jungles of Kasaragod area to nurture the cattle without having to grow or harvest hay or rice paddy stalks as cattle feed," said Dr K Anilkumar of KVASU, who has done various studies on the dwarf cattle of Kerala. The Kasaragod breed, was a contender for a Guinness Book of Records entry for its small size along with Vechur cows. But on an average, the former is slightly taller than the latter. However, Kasaragod cattle are low milk producing animals and the average yield is around only one litre per day under good management conditions. And this is usually just sufficient to feed its calf. The yield of Vechur variety, which has an average size of 90 cm, is around two litres per day, says Dr K R Raghavan of the KVASU. Kasaragod cattle are generally used for the generation of manure. With the growing acceptance of the concept of zero-budget farming, the demand for Kasaragod dwarfs has also gone up. The species has not entered the endangered list in a strict sense as the non-descript category of dwarf cattle found in the district are generally included under this category. As per latest cattle census, there are 36,717 non-descript category of cattle in Kasaragod. But, tracing a pure Kasargod breed will be difficult because of the extensive cross-breeding, says professor Sosamma. There are 34 recognised native varieties of cattle in India and Vechur cow is the only one included in the native list from Kerala.